Hall of the Mountain King: Review: Down, "II"
Almost six and a half years after their first album hit the shelves, metal supergroup Down is back with a new album and a new sound. The New Orleans-based band features vocalist Phil Anselmo and bassist Rex Brown of Pantera, guitarist Pepper Keenan of Corrosion of Conformity, guitarist Kirk Windstein of Crowbar and drummer Jimmy Bower. The band's first album, 1996's "NOLA," was just what listeners might expect from bandleaders Anselmo and Keenan - a heavy blend of Pantera and Corrosion of Conformity. Despite the fact they only played 13 shows and got little or no radio airplay, the album took on a life of its own - selling a half-million copies by word of mouth. Down's sophomore effort brings a little more to the table. Even though they only have limited time to work together - "II" was recorded in 28 days - they've managed to find their own unique sound. With this album, they embrace the musical diversity of their native New Orleans. Several songs seem a bit out of character for the band members, who all come from the heavier end of the metal spectrum.
" is classy mix of soft jazz and Texas-style blues. The strongest song on the album, "Stained Glass Cross," adds a heavy guitar to that mix. It's got a catchy, Southern-fried groove - with some tasty Hammond organ and a great lead break before the chorus. Groove is the key word for "Down II." Almost every song on the album has it. 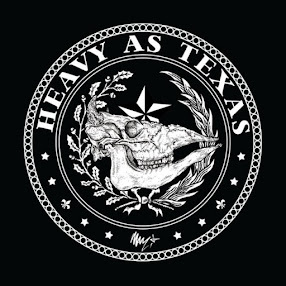 For fans who are more interested in the heavy tunes featured on the band's debut, there's "Man That Follows Hell," "Ghosts Along the Mississippi" and "Dog Tired." All are crushingly heavy songs with down and dirty grooves. 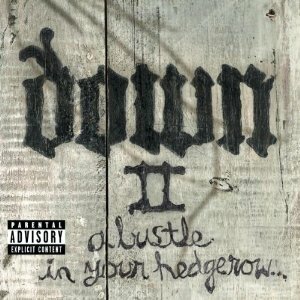 Down's influences also play a very big role on their sophomore album. The opening cut, "Lysergik Funeral Procession," is lifted straight from the Black Sabbath songbook, as is the chunky opening riff of "New Orleans is a Dying Whore." They break out the Hendrix funk on the first single "Beautifully Depressed"; "Landing on the Mountains of Meggido" is an obvious homage to Led Zeppelin. While most side projects are self-indulgent excursions with mixed results, Down doesn't fit that mold. In fact, these metal all-stars have combined to produce an album that outshines the recent releases of their regular bands. It will be interesting to see what the future holds for them.